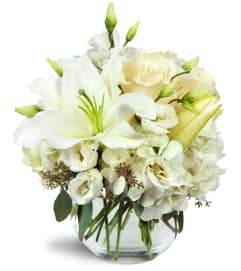 Send a tribute to their shining light lush, bright flowers. 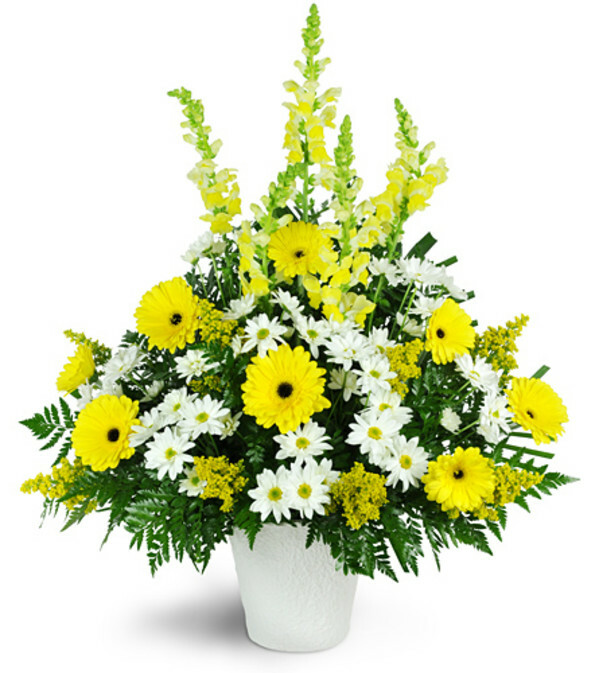 Yellow and white blooms combine to create a perfect expression of your sympathy, while honoring the energy and spirit of your loved one. Featuring Gerbera daisies, snapdragons, solidago, white daisies, and more, this arrangement is arrangement is appropriate to send to the funeral home or service. I called the shop directly after searching for local flower shops on google. I spoke to Wendy and she was very helpful and was able to get my order delivered the same day. I ordered a premium package of Stargazers with chocolates at 10 AM online. They arrived timely a little after 1:00 PM. They were very high quality flowers and smelled lovely. Staff very polite and helpful on the phone when I called for a delivery confirmation. I will definitely order from them again. Helped me with a last minute gift, wonderful service. 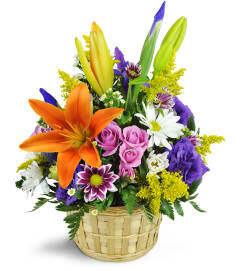 Markowitz Florist is a Lovingly Florist in Syracuse. Buying local matters. Discover how Lovingly supports local florists. Copyrighted images herein are used with permission by Markowitz Florist.